Amy Trager's interest in organizing began helping friends and family members to become better organized. From that, she chose to pursue and complete a Bachelor of Science in Family and Consumer Sciences from Bradley University. While attending college, Amy completed a custom-made curriculum that included independent courses related to organizing. Amy also completed NAPO education courses to further her interest and knowledge in the organizing profession. Amy is proud to announce that she is part of the Inaugural Class of Certified Professional Organizers ®. In April 2007, Amy sat for the first ever Certification Exam for Professional Organizers. This is a prestigious honor that Amy is very glad to be a part of. 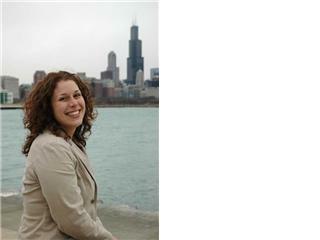 Amy is currently both a member of the National Association of Professional Organizers (NAPO) and their Chicago Chapter. Please visit the NAPO website for more information. Amy, can you or other Professional Organizers tell our readers what it takes to become a Certified Professional Organizer Â® and how it then can benefit future clients? I've had many a discussion about how belonging to NAPO can help improve an organizers credibility. More importantly, belonging to NAPO helps organizers be better organizers. Anyone care to share more about how their NAPO experience has helped them in their business?